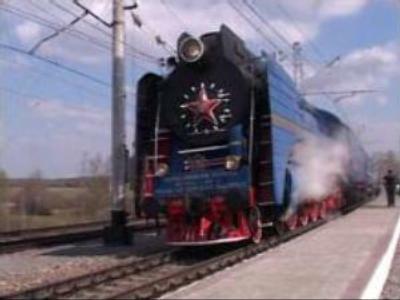 Russia's first luxury steam train is to run on the Trans-Siberian Railway. The $US 25 MLN Golden Eagle promises to take passengers on an exhilarating journey along the world's longest rail track. Starting from Moscow it passes through some of Russia's most beautiful cities including Ekaterinburg, Novosibirsk and Irkutsk, ending up in Vladivostok. Seven years and $US 25 MLN in the making, it is a new train based on old principles. “This is the most perfect steam engine, the most powerful and quickest of all Russian trains. That is why it was chosen,” notes Sergey Terekhov, Golden Eagle’s stoker. The Golden Eagle is a joint collaboration between England and Russia and is the only privately-owned steam train in the country. It is operated by Britain's GW Travel but much of the train is being built in Moscow. Russia and trains are the two great passions of one member of the British Royal family, HRH Prince Michael of Kent, who says the venture is key in furthering ties between the two countries. The President of Russian Railways agrees and he is confident the enterprise will boost Russia’s image abroad as a holiday destination. Passengers can travel in style and indulge their taste buds with traditional Russian cuisine. Under-floor heating, a plasma TV for every cabin – it is a sheer luxury. But it comes at a price – a two-week holiday on the Golden Eagle could set you back $US 10,000. Is it worth the money? The epic trail from Vladivostok to Moscow passes through eight time zones and at 10,000 kilometres, which is the world’s longest railway line.